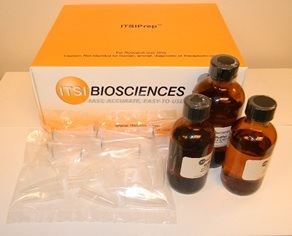 The ToPI-DIGE™ Kit contains a set of optimized reagents and standard operating procedures that allow basic and clinical research scientists to easily, conveniently and reproducibly isolate total proteins from human and non-human cell lines (attached and suspended), solid tissue and tumor biopsies for use in 2D-DIGE experiments (Fig 1). ToPI-DIGE is optimized for isolation of total proteins from cell lines (K-0010-C) and mammalian tissue (K-0010-T) for 2-Dimensional difference in gel-electrophoresis (2D-DIGE). 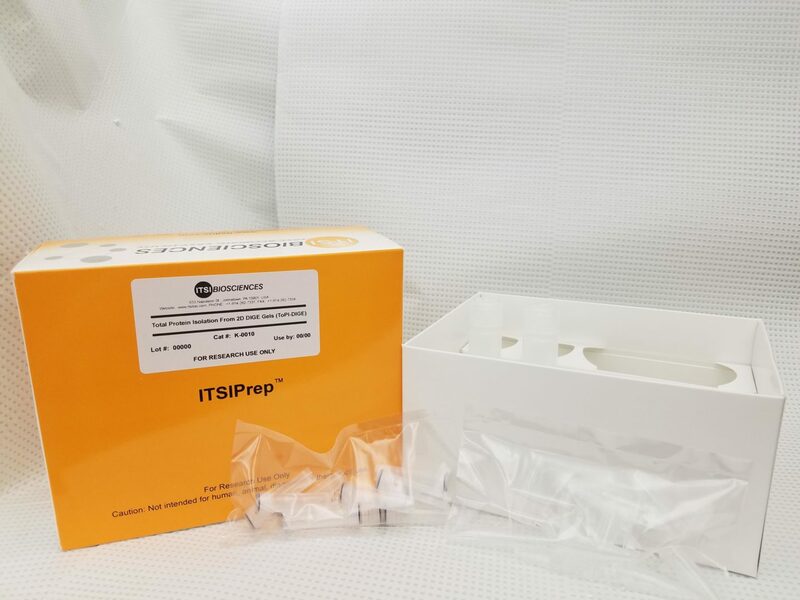 Using the kit prevents protein breakdown and prevents additional buffer exchange steps that may lead to protein breakdown and lower yield. Fig 1: 2D-DIGE image of Human Breast Cancer Cell Lines Proteins were isolated with ToPI-DIGE Kit. 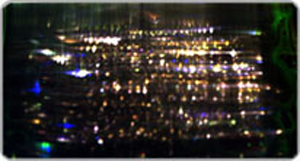 50ug of protein from “reference”, “test” and “Internal Standards” were labeled with Cyanine dyes and loaded on the gel.